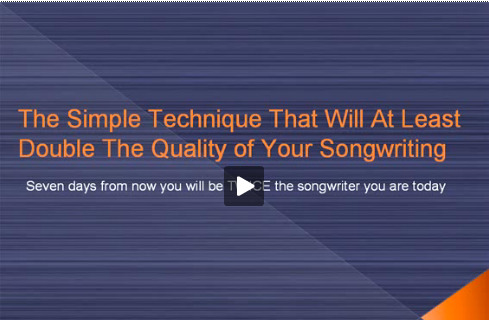 To go to part one in this online songwriting resources article series, click here. The second of the three online songwriting resources that I want to share with you is a website called eSession.com. eSession allows you to go in and search for freelance musicians, producers or engineers, and then hire them to work on your recording projects. For example if you need a drummer to do some work on a track you can find a drummer through eSession by using their search tool, and then contact them through the website. Once they agree on the project you can send them the track that you want drums recorded to, and they’ll record it in their studio. Once they've finished they’ll post the tracks back on eSession and then you can download them and use them in your recording. Now there’s a couple of really amazing things about eSession which is why I recommend them wholeheartedly. The number one thing being the quality of musicians, producers and engineers that you can hire. You can find musicians that have been on multiple platinum albums or musicians that have won Grammy awards and get them to play on your tracks. I’m positive that if you go to eSession right now and do a couple of searches you’ll probably find some of your favourite musicians on there. The second really good thing about eSession is the actual rates that you have to pay are VERY reasonable. This is because most of the musicians and engineers that you can hire through eSession they have their own studio. This means you don't need to hire out expensive studios, which really keeps the price down. To give you an idea, I recently paid a very hire profile drummer to do a track for me, and it cost me $1000. Now keep in mind that my track was a 9 minute epic, and the cost of a really good studio alone for one day is around this amount. If you have a track that is a normal length (3-4 minutes) the price would be much less than this. In many cases you can get a job done for less than what it would be to hire out your local studio and go in there and do some work for a day. So if you’re doing some recording at the moment or if you’re planning to do some recording in the near future, one thing that you could do see if there’s any elements that need to be taken to the next level. And then go to eSession and get a really top musician or engineer involved. One thing that can instantly take a track to the next level is to get a world class engineer to mix it. This is a very good option! Look into it. Now, click here for the third of three online songwriting resources that will take your songs to the next level.